This page contains the latest Pubs Group main article for Pints West. Previous articles are available in the archives section. Aren't pubs brilliant! You might have thought otherwise during Dry January. Those of us that did bother to go to the pub were sometimes rattling around amongst empty spaces which would normally have been filled with friendly faces, banter and good cheer. For the customers it was a quiet time but what about the sustainability of the pubs at this time when they really could benefit from a good start to the year? Be careful to avoid going dry during next January, if you do then don't assume that the local pub will be open and waiting for you on February 1st because it might be too late for some of them. Anyway, climbing off of my soapbox, here is the news. In January it was reported that pub company Ei Group agreed the sale of 370 properties (not all pubs) to Tavern Propco for £348m, how many of these properties are pubs and which ones in our branch area is not certain at present. Fullers, yes FULLERS of Chiswick, that most exemplary British brewing institution has sold the crown jewels! Their Fullers brewing business and brands has been sold to Asahi of Tokyo in order to concentrate on their pubs and hotels. Fullers pubs number seven in our Bristol & District and Bath & Borders branches and we expect them to continue at strength. Zerodegrees on Colston Street / Perry Road has informed us that their core beer range has been updated. Nothing too drastic, expect updates of their Pale Ale, Black Lager, Wheat Beer and Pilsner. There is a revised planning application on the Grade II listed Pineapple in St. George's Road, behind City Hall, to change the use of the building to five flats, with the demolition and rebuilding of an existing side extension. Bristol Pubs Group are doing all they can to prevent this from happening. It was nice to hear from Steph and Sam, new leaseholders of the Orchard Inn in Hanover Place (Spike Island). They tell us they are now offering six gravity fed cask ales, mostly from local breweries, and 20 real ciders (although Cheddar Valley and Black Rat on now keg only). There are no hot meals, but hot pasties are available along with cold scotch eggs and pork pies. Be sure to visit this multi award-winning community pub. We have been told by Chris at To The Moon in Midland Road, Old Market, that keg beer from Moor, New Bristol and Dawkins is now available. A new couple are now running the Hare on the Hill in Kingsdown on an initial short, three-month, arrangement. They, and we, hope this will become a long-term venture. Crying Wolf cocktail bar has opened on Cotham Hill, arranged on two levels with table service, it is the second opening for Wild West Group who source local and South-West regional produce. The prominent White Bear on St. Michael's Hill closed in January but promptly reopened under a different management team. Only Butcombe Original will be offered until demand for a wider range of ales is apparent, but here's wishing the best for this interesting public house which houses a performance space upstairs, as well as outdoor seating in the courtyard that is left over from its days as a coaching inn. We are told the Blackboy on Whiteladies Road closed at the end of January, but what next for it we don't know. The Bristol Post reported that Malcolm Haynes who is part of the decision making team at Glastonbury Festival, as well as overseeing last year's St. Pauls Carnival, has been asked to run the Star and Garter in Montpelier. The pub should re-open with a similar vibe to that which it has become known for, in the Spring following a bit of TLC. Malcolm apologises to all those who wanted it turned into flats. Our sort of guy! The Sugar Loaf on Easton's St. Mark's Road is under refurbishment to re-open under the stewardship of Zazu's Kitchen who successfully run several Bristol pubs including Grace, The Westbury Park, Knowle Hotel and The Greenbank. 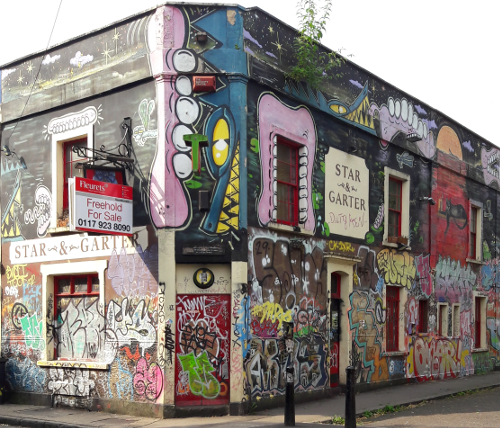 The Asset of Community Value (ACV) designation on the Merchant's Arms in Eastville was upheld following a challenge by the new owners. The planning application to convert to housing was withdrawn after 111 objections were submitted. The owner's next step is awaited but not known at this stage. Matt at the Lazy Dog in Ashley Down Road gave us a stack of updates to his pub which are best viewed on whatpub.com but in summary involve stand-up comedy, a film club, darts and quiz nights. The regular beers are from Purity and Bristol Beer Factory. The roof of the Bell in Redcliffe has sadly fallen in. This pub has been closed for a good ten years and has been completely neglected with damp, looters and squatters all present at some time or another. Now it is difficult to see what could be done if it was desired to be used for anything at all, pub or otherwise. In Bedminster the Princess of Wales' freehold is back on the market after its recent sale apparently fell through. The freehold of the Windmill at Bedminster is for sale with Fleurets in excess of half a million pounds but the pub is open as usual. Nearby, the Rising Sun in Alfred Road is under new management having enjoyed an extensive makeover. The Lamplighters at Shirehampton has been serving the public since 1760, but within the last decade it stood sad and idle for a few years, apparently unloved and looking like becoming another housing development. But a determined campaign by local people supported by the MP and CAMRA's Bristol Pubs Group saw the pub building beautifully restored to reopen as a very popular pub on the north bank of the River Avon. The Lamplighters has attracted a lot of attention, not least from St. Austell Brewery who purchased the pub at the start of the year, but it will be branded as a Bath Ales pub, who are owned by St. Austell. 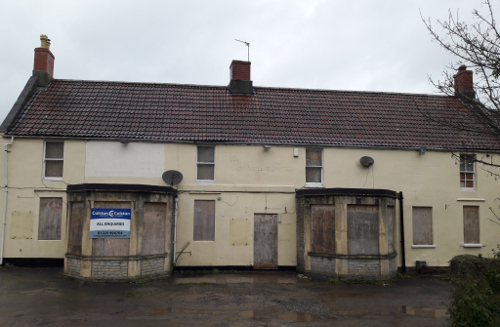 In South Gloucestershire, the applicant has withdrawn the planning application to add housing to the site of the Red Lion in Staple Hill while retaining a slightly altered pub. The Red Lion remains open as normal and still serving Wadworth ales. Check out the wood panelled snug when you're next in. The Old Flowerpot in Kingswood remains closed. A couple of temporary openings and departures have dogged this pub since Brains released it, so it would be reassuring for local drinkers if a stable arrangement could be made to secure its future as a proper community pub as it sits in a pub vacuum where the nearest pub trading is just shy of half a mile away. Local paper The Week In reported mid-February that a planning application has been submitted to South Gloucestershire Council for a micro-pub in an empty retail unit at 121 Regent Street, Kingswood as part of a scheme to regenerate the high street. Rumour has it that the new owner of the White Harte at Bridgeyate, which is currently closed for a three-month refurbishment, has extensive plans for updates to the pub's interior. There are some nice bar room fittings in that pub and it has retained old world charm that is not necessarily out of date. It is important to make the balance for a pub's relevance to modern times while protecting its strengths of traditional appeal. The Carpenter's Arms at Wick, which closed nearly a year ago, could be bought from its owner by Wick Community Pub Ltd set up by via the Plunkett Foundation. This would be a remarkable outcome for this community hub as it had been acquired by a developer with an interest in creating new housing across the site with the pub building becoming further housing, so we have to say that we are encouraged by this latest news. Work is underway at Doynton where the Cross House is having a major refurbishment creating more space to capitalize on the destination dining market. Hopefully drinking space for community imbibers will feature. In Chipping Sodbury the 'Friends of The Tern' are continuing to push for their community pub to be reinstated following the developer withdrawing their appeal against the refusal of their planning application to build 28 homes on the site which would have resulted in total loss of the Tern Inn altogether. The pub has been closed for around two years. 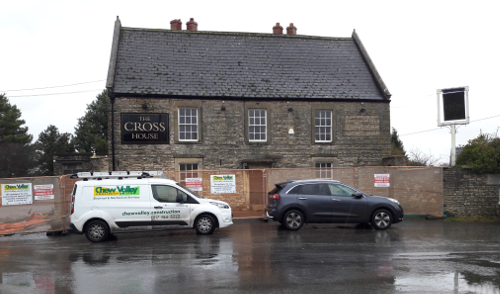 The battle at the Lord Nelson in Cleeve is stalemate while a revised planning application is considered by North Somerset Council whether to grant permission for the pub's demolition and re-development of the site. There has been a both rigorous and vigorous campaign in Cleeve to save this important pub which is, after all, an Asset of Community Value. The Old Mill at Portishead has reopened following a period of uncertainty. We look forward to fresh and positive trading at this well-known landmark town-centre pub. The Poacher in Portishead is under new management, this popular high street pub is set to gain accommodation in 2019. In Nailsea the lease is offered for sale on the Ring of Bells with the pub continuing to trade as normal. Planning permission has been granted for 3 Boulevard in Weston-super-Mare to be converted into a micro-pub so we'll look forward to its opening, adding to Weston's first micro-pub, the Black Cat, which opened in November. As usual, consult whatpub.co for any updates, and most of all, enjoy your pub excursions. Cheers!